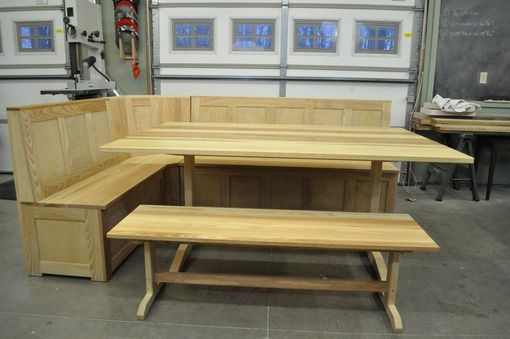 A beautiful 5 piece dining set in Ash. 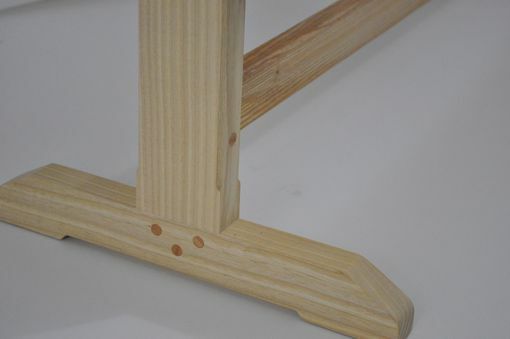 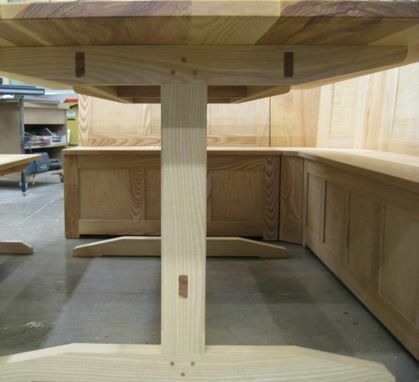 Trestle table and bench have mortise and tenon joinery wedged and pinned with cherry. 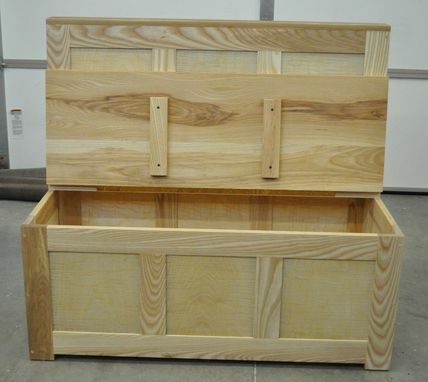 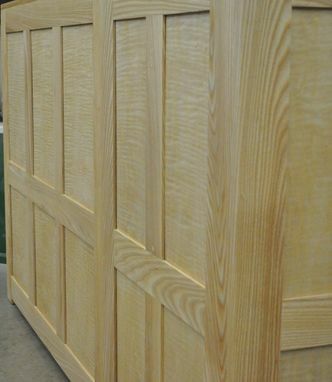 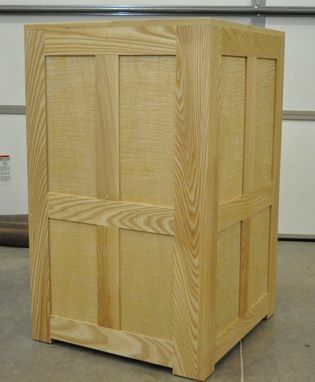 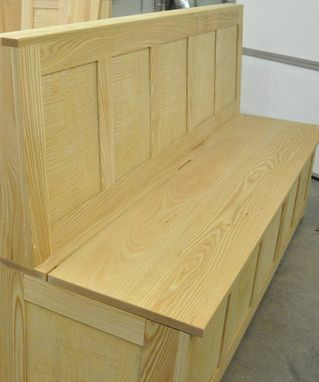 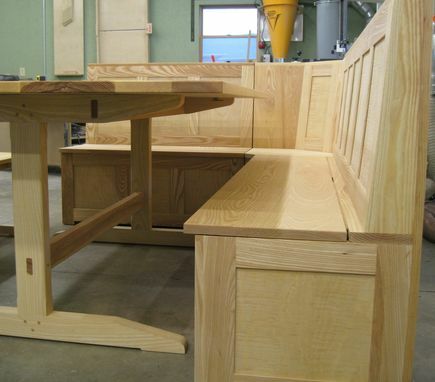 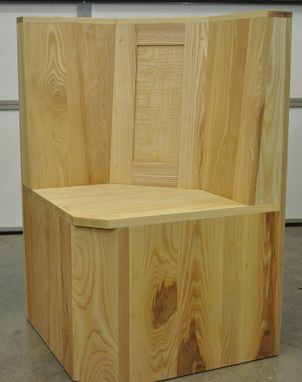 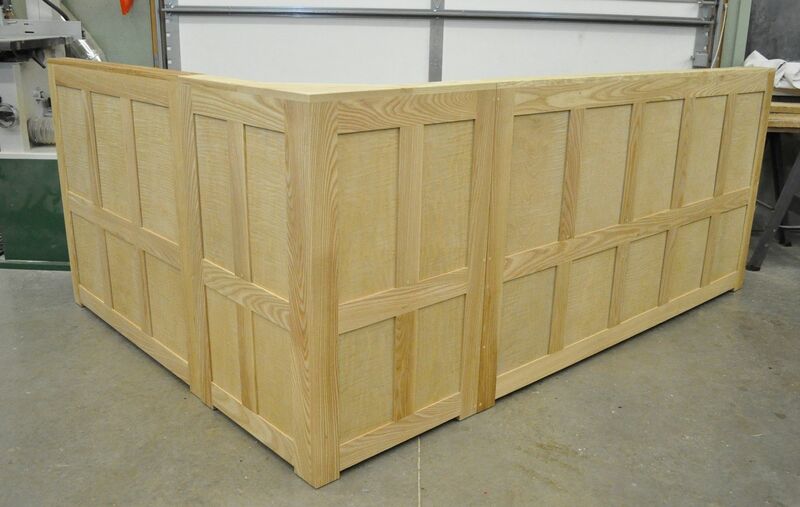 The frame and panel storage benches are also mortise and tenon construction and highlight stunning figured ash panels. 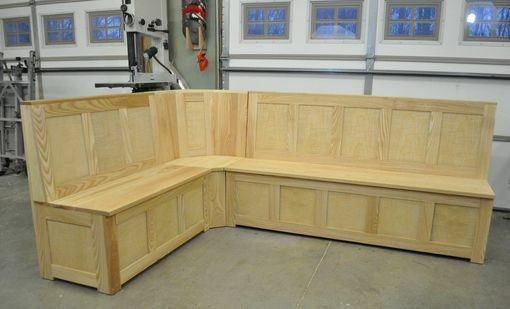 Beautiful front and back and configurable in left or right hand arrangements, you can place this set anywhere. 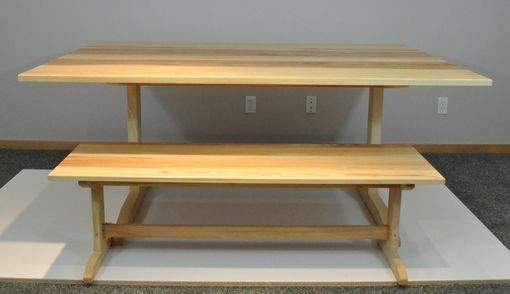 Trestle Bench: 56" x 17"
Overall footprint approx. : 92" x 66"
This set is made to order and can be customized to fit your space and constructed in a variety of wood species.